We had a wonderful time and really enjoyed your cabin. You were right, your cabin is a great location. Gardiner is a great town with good restaurants and friendly people. Just like you said, we saw lots of bison, antelope, and mule deer. No bear or wolf sightings but we’ll look forward to that next time. We really enjoyed our stay here. The scenery & wildlife were awesome. Since we’re from the flat gulf coast of Texas, we figured out everything that wasn’t downhill was up hill! We also enjoyed seeing Mike Moran’s namesake mountain in the Tetons. Awesome! The cabin was everything everyone describes in here. We called it our home away from home. Great relaxing vacation! P.S. Washer & dryer were a God-send. Bonnie! Great Place! Great Service! Soooo Comfortable! If you keep making this feel like home, we’ll all be back again and again! Bonnie, I can’t describe how much we loved your beautiful cabin and the great location. We had seen so much wildlife around the cabin alone, it is amazing. We had a herd of deer run thru the backyard the first morning we were here. We saw many pronghorn, elk, osprey, bald eagle, great horned owls and heard a pack of coyotes just near the cabin. We really enjoyed sitting on the porch and listening to the river rush by. That was so relaxing after a busy, energetic day in the park. So envy your small piece of paradise. We wish we had a place like this to come to all the time. The beautiful star-filled skies are gorgeous at night. In the Park we drove across the Beartooth, over the St. Joseph hwy., visited Silvergate, Cooke City, and Red Lodge. We spent several days in the Lamar Valley, went to the Grand Canyon of Yellowstone, Upper & Lower Falls, Artist and Inspiration point, Hayden Valley, Fishing Bridge and Yellowstone Lake. We took a scenic cruise on Yellowstone Lake, which was great. Went thru Dunraven Pass, to Norris, Mammoth, and took the 6 mile, one way drive thru the Blacktail Plateau area (loved this). We saw moose, badger, coyotes, many bison and elk, swans, geese, and think we saw everything I can think of except bears and wolves. We just kept missing them. Oh well, just another reason to come back and visit again. Thanks again for sharing your beautiful piece of paradise with us, we truly enjoyed everything about it. Sitting here listening to the river flow by and the cows calling each other across the way. It is hard to describe the peace and contentment of this place. Thank you for providing a wonderful cabin for people like us who need to take the time to stop and appreciate what God created. The beauty of this vast land and all it’s creatures leaves me speechless. Thank you and we hope to return! Thanks so much for the use of your beautiful cabin! Our favorite parts are the mama elk that ate the grass in the backyard, sitting on the porch anytime of day or night, and having a nice place to come back to. We did use the crockpot, too! The only downer for us was having to leave a day early due to a sick kid, but we loved it here. Our 1st trip to Yellowstone … this cabin “home” is a delight! We enjoyed the décor and all the comforts! The view was so peaceful. Bonnie, the story of the bison and other wildlife will stay with us always in our heart. We enjoyed seeing the elk out our window and along our drives. Antelope, mule deer, 2 white-tailed deer, bighorn sheep and a baby coming down the rocks carefully! A mamma black bear & baby black bear cub climbing a tree, and far enough away a grizzly bear & cubs swimming & playing along the river. We were also amazed to see so many people from all over the world enjoying “God’s Creation” all together and at peace! Thank you for everything Bonnie! Our family had a great time staying in your cabin. Although it was mainly used for “resting our heads at night”, it was very accommodating. This was our 1st visit to Yellowstone & it was wonderful! Bonnie, We had a wonderful week here on the river. Thank you for all the information. Your cabin was great! Thank you so much for allowing us to share the beauty of your cabin. It is so comfortable, warm & inviting. We loved being on the river & Don & Jeffrey even caught some fish. We loved our visit to YNP and then returning to your oasis by the river, to escape the crowds and traffic. We celebrated our daughter’s 20th birthday while here. She is a nature lover so this was the perfect place. This place will always be in our memories and in our hearts, until we can return. Dean, Ruby, James, Timothy, Lauren, Wayne, Alina – we have never seen a more beautiful and awesome State, we all had so much fun and will never forget it. This vacation will forever be etched in our minds and hearts. Thank you so much for sharing this beauty with us and stopping by to see us and telling me about the bison. I will write the Governor and tell them a thing or two I promise you that and I will make sure to pick up the issues of NG. The wildlife animals are awesome and I’m going to capture them all from my camera and put them on my walls at home so I can see them everyday. I do not want to leave. I love it here, I more than love it here. Thank you for the wonderful memories. Timothy said he had so much fun he was so happy to catch his first fish and the white water rafting was great too. May God Bless you, it was nice to meet you, you are such a good steward of what God has given you. What a wonderful witness for our Lord. We love our stay here! Bonnie was very informational about any question we had about Yellowstone. Bonnie, you have a beautiful cabin. All the comforts of home and plenty of room for us girls to have a fun weekend. It was great walking out on the back porch and seeing the river. Teresa caught two fish, her first time fly fishing. We enjoyed driving the dirt road and seeing the wildlife to and from town. The Park was a great adventure with so much to see. We have loved our visit here in Montana and Wyoming. Hope to visit again. Love, Roz, Debbie, Clyde Y Teresa … Traveling friends! It is our first visit to Yellowstone and was so awestruck at the beauty of its surroundings. The accommodations were amazing, so much better than any hotel. We were able to sit out in the morning, enjoy a cup of coffee and watch the wildlife and take in the scenic view. WOW!! Thank you Bonnie for a wonderful stay, we will definitely recommend YPRC to our family and friends. P.S. On our last day in the Park we even encountered a black bear up close and personal. Most memorable vacation ever!! We had a wonderful vacation here visiting Yellowstone!! We spent our time here exploring the park and our kids couldn’t wait to get back to our awesome cabin here. We all felt very comfortable and relaxed here. I especially enjoyed all your cute cabin décor! The views inside & outside the cabin were incredible. Thank you also for working with our travel dates. We hope to be back someday. We had an amazing time here. Found it hard to leave the cabin to sightsee. The cabin is so beautiful and relaxing. Thank you for opening your home to us. Hope to be back soon. We have thoroughly enjoyed our stay in your cabin Bonnie! Our family of 5 fit wonderfully. We ate here in the evenings after days filled with touring Yellowstone as well as hiking. This cabin far surpassed my expectations in cleanliness, supplies & comforts of home. For the price, this cabin was so much better than a hotel room! Especially considering you can step out the back door onto the patio and watch wildlife while listening to the Yellowstone River flow by. We loved it! Thanks, Bonnie! Romans 1:20 – so visible here! What a wonderful home away from home. Your cabin is welcoming and comfortable – everything we needed was included. It’s a great location for day trips into Yellowstone. Wildlife viewing was great even though our wonderful wolf, upon closer inspection, turned out to be a coyote! We’ve had an amazing week and hope to come again soon. Thank you, Bonnie, for your calls and helpful information. Bonnie, Thank you so much for sharing your cabin. This was our first trip to Montana. This cabin was a perfect home away from home for our family. The view from the back porch was so beautiful and all the little additional touches to the cabin made it extra comfortable. Our only disappointment was that we did not stay longer. We hope to come back sometime during the summer months and will definitely keep your name as we would love to come back right here! Again, thank you for your hospitality & all your advice before our trip. Thank you so much for having this cabin. Yellowstone has been a trip highlight; the scenery must be the world’s best and the wildlife (especially the bears) make this place so memorable! Your wonderful cabin with the perfect view of Yellowstone River has made this trip everything you could ever ask for! The cabin was everything as advertised and MORE!! We loved getting away from the crowds and spending time here in the quiet beauty of the river and mountains. We traveled here with our grandson, Tie, on a special one on one trip. Thanks, Bonnie, for your suggestions. We rafted with the Yellowstone Raft Company, enjoyed the chuck wagon dinner, swam in the boiling river, saw wildlife in the Lamar Valley as well as the usual sights. It has been a vacation of a life-time for all of us. Would love to bring the rest of our family back to experience this wonderful place. We are traveling with our two Grandchildren and have stayed at several other cabins. They usually do not agree on much, but they both agree this is the best cabin EVER!!! Went on the 8 mile raft trip with Flying Pigs – Passed by the cabin while Grandma was taking pictures ? What a wonderful place! The cabin was perfect! Great location, clean, well-stocked, and great décor! This was our first time to Yellowstone and we had a wonderful time. Thanks for the life-long memories! After staying in 3 hotels and a teeny tiny cabin, this was amazing! We loved the river view and the spacious cabin! While we were here, we went on a rafting trip with the Flying Pigs and floated right by the cabin! We went to the Boiling River – very cool! (or warm) ? We hiked a mountain – Bunsen Peak – a 4 mile round trip we loved that! We also loved walking under the big Montana sky in the evening, and feeding the horses down the road. This is a wonderful cabin, thank you very much Bonnie! Thanks again for another wonderful stay! You have the best place on the river! We have had the most amazing time, an adventure of a lifetime. The cabin has been the perfect accommodation. Location is key to a wonderful visit and we couldn’t have asked for better. Thanks for making our trip so wonderful! We love Yellowstone! Bonnie, staying in Cabin one was everything you said it would be. It was so clean and well stocked. All of our needs were well met. Yellowstone and the surrounding area were amazing. When we talked on the phone you told me that I would be sorry I didn’t stay a week and you were right. We were here for 3 nights, longer would of been “OK!” Congrats to you for doing such a wonderful job. Bonnie, Thank you for having the most wonderful cabins we’ve ever stayed in! It was definitely our home away from home these past few days. I can’t get over the extra care you obviously put into these cabins to make families vacations just that much more special. We’ve had an amazing time in Yellowstone. I’ll be telling everyone to come vacation here and to stay with you! Another amazing vacation in Yellowstone. The weather (October 14 – 24, 2014) was perfect. 30 – 70 degrees with no rain or snow. Lots of animals. Griz in the area keeping deer away but more antelope then we’ve seen in years. Griz on the island off our porch. He/she sat and watched us watching him. Lots of nice hikes up the forest service road. Saw bear tracks and wolf tracks. Great days in the Park. Saw amazing views. Joined other wolf watchers and were blessed by the sight of wolf 778 (last of the Druid Pack wolves.) Huge wolf. Thank you Bonnie for keeping the cabin in great shape. We will keep coming for years to come. Bonnie, thank you for sharing the beautiful cabin. We so enjoyed our stay! I wish that I could take all of the decorative items home. Beautiful and clean!! This was our fourth visit to Yellowstone. Had to come and see the baby bison! They are so cute! Love all animals. God Bless You! The cabin was fantastic! The views are absolutely amazing, being right on the river was a pleasure!! We had plenty of wildlife visitors which we found rather exciting! The drive to Yellowstone was very convenient as well as the restaurants nearby! Overall our stay was an amazing experience and we would definitely come back! Thank you for such an amazing stay. The cabin was excellent, the view was amazing all around. We enjoyed the campfire at night. Bonnie, Had a wonderful time here. Your cabin was perfect. Yellowstone was AMAZING! Saw mama grizzly w/3 little cubs. Black bears, Bison, babies take their 1st steps within 20 minutes Mom had them in the Lamar River. They made it out okay. Saw Moose, elk, deer, Bighorn sheep. The YPA was great. Chuck told us how to get around to see all the babies and animals. The chuck wagon barbeque was great. The people in Gardiner were awesome. The ice cream is a must. Love the Tee-shirts. Will let people know of the wonderful place. These cabins were great. We loved the location! They were very nice cabins and it was cool being right on the river. We saw lots of animals in the Park and overall we had a great time at these awesome cabins. Thank you for the use of this wonderful cabin! It had all the amenities we were looking for. The close proximity to Yellowstone made traveling to and in the Park that much better. We were able to stay there longer because we knew we didn’t have to travel far to stay the night. Overall our vacation and stay was excellent and we would love to come back and stay again. The cabin is amazing! It had everything you might need including friendly neighbors. It’s closeness to the Park made it very easy to see all of Yellowstone! Looking forward to coming back and visiting Montana again. Only wish we could have stayed longer! We enjoyed more than a week of adventure in Yellowstone. Hiked, explored, swam, soaked & spotted lots of animals. It was so nice to come back to such a cozy cabin that was so spacious, clean, and comfortable. We really appreciated all the cooking amenities and having the cabin stocked with all our necessities. We had a great time and would highly recommend staying here to friends & family heading to Yellowstone. We had a wonderful stay at the cottage. It was very comfortable and had everything we needed. We enjoyed Gardiner and Yellowstone and had a picnic every day. The kids loved the rafting with Montana Whitewater Rafting. We purchased wonderful souvenirs at the shop in Gardiner. Bonnie, Our family enjoyed the escape from the Arizona summer! The weather was beautiful. The view fantastic. Love the surrounding mountains and the Yellowstone River. We did some fly fishing and relaxed! Yellowstone was awesome. Such a wonderful creation of God – Your cabin is so comfortable! Our home away from home – would love to pick it up and place it in Northern Arizona. Thank you for making our stay here memorable. Bonnie, We had the best time here! A trip to remember forever. It was my first time here at Yellowstone and it blew my expectations off the table. We saw buffalo everywhere, even on the streets walking in the correct lane, chipmunks, deer, elk, antelope, and lots of bugs! The natural beauties of Yellowstone were, well, beautiful. Thank you for letting us stay in your cozy cabin. “Memories made here”, thanks to you. God Bless you and everyone who gets the opportunity to stay at this wonderful place. Words cannot describe the beauty of Yellowstone nor the animals that surrounded us. There was beauty and amazements everywhere we went. We will never forget this trip. Cabin 8 was the perfect accommodation for this adventure. You have thought of everything to make our trip so wonderful. You are very fortunate to live in such a magical place. What a beautiful spot – and a very well-appointed cabin. We didn’t spend too much time here – Yellowstone NP was too big a draw – but it was pleasant to come back to the cabin after a long day of hiking and touring. Fantastic location! Cabins perfect home away from home. Bonnie was great to deal with, made everything easy (booking from overseas), and very helpful. Bonnie, thank you for sharing this beautiful cabin! We’ve enjoyed our stay here very much. Our adventures in Yellowstone were awesome. We both retired this year and hope to do more traveling and this is an area we definitely would like to come back to. Thank you, Bonnie. We so enjoyed staying in your cabin. It is a great home away from home! We spent 8 fantastic days exploring the Park. We visited every area exploring each part & drinking in all the glorious beauty that we possibly could. We are sad to leave but hope to be back sooner than later. Once you have experienced this part of our country, its in your blood. You’ve got to come back! We are on a wonderful expedition from Australia. We live in Sorrento, a seaside resort on the Mornington Peninsula near Melbourne. We have had two weeks in Vancouver, Canada, and have then travelled through Seattle, Washington, the Columbia River Gorge and Oregon Trail country in Oregon through Hells Canyon in Idaho, and then into this wonderful testament to God’s Creation! The Yellowstone! This is truly a remarkable place. Yellowstone has everything in God’s arsenal. Geological wonders, mountains & valleys, pristine streams & rivers. And wonderful fauna. We have seen most animals, but not bear or moose. We have dined at Yellowstone Hotel, visited Old Faithful Lodge, seen the geyser explode, and have had so many wonderful experiences. The Old West Cookout is exceptional, and we undertook the 1 hour horse ride. What a blast! Bonnie, your hospitality has been wonderful. We thank you so much, and the cabin has lived up and surpassed our expectations. The cabin has been wonderful, but the aspect that is highlighted is the wonderful peace & serenity of the cabin, after a busy day in the Park. Thank you Bonnie & we hope to see you someday in our home town. Just an add on – I have enjoyed the peace of the cabins, the hominess of your taste with décor. I have loved sitting out back with a wine just rocking and enjoying the serenity of it all. Thank you again, Carole. See you sometime in the future down under. This cabin was wonderful. I dont want to leave. We saw so much wildlife here. My favorite part was swimming in the Gardiner River, it was fun. All the places to stop were beautiful. Thank you for allowing us to stay at your “home away from Home”! We enjoyed everything at the Park! The scenery in and out of the Park is spectacular! One of the best things was to come back after a long day in the Park and sit on the back porch taking in the view and listening to the river. Our kids especially enjoyed exploring the river and fishing! What a wonderful place! This is our first visit to Yellowstone & these cabins. Scenery is spectacular & the place is serene! The cabin is so well equipped & CLEAN! Thank you for providing such a wonderful venue to enjoy God’s country! Thank you Bonnie for our connection & so glad we were able to stay! We had a wonderful time, admiring God’s beautiful creation here in Montana and Wyoming. The cabin was perfect, and we loved every minute of our time here! This is our 1st time visiting Yellowstone and it truly is God’s Country! Every day we were blessed with the beauty & surprises nature has to offer. It was a real treat to return to & relax at this clean, comfortable & peaceful home away from home. Thank you Bonnie for the thought & care you put into this place! Bonnie Lynn, we had an awesome time staying at your cabin. It was our first visit to Yellowstone and we saw so many animals, will definitely make a return visit! Bonnie Lynn, we thank you again for a wonderful stay in one of your cabins! Our timing was right to enjoy seeing an abundance of wildlife – grizzlies, black bear & three wolves! We look forward to coming again! Feeling right at home in our cabin. We are so grateful to you, Bonnie, for allowing us to truly feel like this is our cabin. This is our fifth year staying here. A delightful vacation & every day was a treasure. We saw the “usual” wildlife in the Park & visited with our wolf-watcher friends. We hiked up the National Forest Road across from the cabin property and we were so surprised by how beautiful it is high up in the hills. And we saw 5 small groups of mule deer on our “hike”. We enjoyed watching the River rise everyday. We started with the island fully exposed to now being just grass tufts showing on the surface. Rafts already making daily trips down the river. We had a frequent guest at the cabin – almost daily – so we named him Bill; a large male bison. Bill lumbers through the yard & looks like a gentle old guy – of course we gave him plenty of space & never walked out of the cabin without making sure we didnt bother him (or he us!). We enjoyed learning about the area around the cabin. This is the site of a town called Horr. The name of the town was later changed to Electric. 800 people lived here. The American Heritage Research Center is worth the visit if you want to learn about the history of this place. See you next time! What a wonderful spot, flowing river, lovely cabin, and Yellowstone all around. Very special. We enjoyed your beautiful cabin. We loved the decor – mountain theme! Homey and welcoming. Beautiful surroundings. We love Yellowstone! Thank you for a clean, homey place to stay. Yellowstone is amazing! Absolutely the best vacation we’ve had! The cabin was perfect! We watched osprey fish, elk run and deer cross the road in front of us. I thought I would leave Yellowstone content and fulfilled with what I saw. Instead, I find myself wanting more. We learned and saw so much! Grizzlies, black bear, elk, pronghorn, deer, wolves, coyote, fox, marmot, eagles, osprey, bison and much more. Until next time, thank you! This place was everything you promised and much more. What a lovely cabin in a majestic location! This is our first time in Montana/Wyoming and we are thoroughly awed! We have loved having such a nice place to come back to to rest our weary heads. Thank you for all the thoughtful homey little touches. What a delightful time we shared in this darling, well appointed cabin on the Yellowstone! We arrived here on Tuesday after 3 nights in other locations. For me they were fun filled days but somewhat restless sleeps. After many months of warm communications with Bonnie, I immediately felt as if I had arrived at the relaxed and comfortable home of a good friend and took an invigorating half hour nap on the couch! The following nights sleep were fantastic for all of us and gave us the energy to pursue happily action-packed days exploring the sights and sounds of this amazing national treasure! We ate “in” two of the three evenings we were here which was a lovely break from a week of picnics and restaurant meals. The evening we dined out it was a the the Lighthouse just a few miles north on Hwy 89. An excellent experience that I can highly recommend! I could go on and on about the appointment and amenities this cabin provided to enhance the enjoyment we shared here, but will just close now with a heartfelt thank you!!! Gardiner is an amazing place and this quaint little cabin on the river was a perfect place to stay. We went horseback riding in the mountains, white-water rafting on the river that runs right by this cabin, and visited Yellowstone Park many times. (with long car rides!) A well kept secret everyone should check out is the Boiling River. It’s like sitting in a hot tub! But watch out…the currents are strong and some are freezing cold while others are burning hot. To get there its about 10-15 minute drive and then a 10 minute walk. It was a great swimming experience though. Montana is a beautiful state and this was our first time here. We love Gardiner! Bonnie, thank you for sharing your cabin with us! We love the beautiful scenery here and the location is the best. We went to all the park entrances and are so glad we chose Gardiner! We saw a mom and baby MOOSE at the Cooke City park exit. It was amazing. The only thing we missed were the grizzlies and wolves. Your cabin was a perfect place to rest from our “park adventures”. We hope we can come back again. God Bless you! After exploring the park each day, it was great to arrive back here to your wonderful cabin, which we found to be in a very beautiful, comfortable, and quiet setting. We couldn’t have chosen a better spot. We can’t wait to come back. A wonderful cottage, a wonderful national park, a wonderful state and yes, a WONDERFUL STAY! Thank you Bonnie for everything. We wish we could meet and thank you personally, but our coming and going hours were a little odd. Nevertheless, we hope to come back again sometime and stay longer. We also saw an elk on the premises, over and above numerous bison, bear, a wolf and a coyote. We go back as very happy and fulfilled travelers of the Yellowstone! I don’t know how many times during out trip we said that this has been our best family vacation ever! Montana and Wyoming Yellowstone has been breath taking. The cabin and its location is like a dream! Our favorite memory of the week was sitting out on the porch watching three young bull elk eat and wander along the grassy rock bar out in the river. We will be back! Thank you! This was our 5th trip to Yellowstone, but the first one that we stayed outside the park. The cabin was great! We had six in our party and never felt cramped. The beds were great and the kitchen had everything you needed. As others have mentioned in their logs, we truly enjoyed coming home and relaxing in the cabin. Our kids would go down to the river in the evening to explore and skip rocks. This trip featured great experiences in the park. We saw grizzlies, the Lamar Valley wolf park, bison, elk, a golden eagle (first time for that). We were also fortunate to watch a grizzly and the wolves fight over a carcass. AMAZING! Thank you for making this trip special. Thank you so much for sharing cabin #8 with us! You were correct, it is as beautiful on the inside as the Montana scenery is on the outside. We are already looking forward to another wonder time. The cabin is so thoughtfully appointed and nothing was less than stellar. Best regards. Riverfront Cabin #8 was a true blessing to wake up in and come home to after a terrific day in the park. Every detail more than exceeded our expectations. The weather was our friend during our stay. Our son is a California State Ranger, and loves to fish and he pulled many trout from the river right in front of the cabin…delicious! Thank you Bonnie for providing such a wonderful place to stay. We have to leave in the morning, but if time allowed, would gratefully spend another day just hanging out at the cabin. God Bless. Well this began as a dream when we were internet searching for family friendly accomodation around Yellowstone. Our dream became reality and your beautiful cabin (and Yellowstone) exceeded all our expectations and more!! As a family with 3 children under 11, your ca bin was our home away from home. We hope to return one day! Many thanks. Thank you for such a beautiful place to call home in Montana. All of our needs were met. So glad that your body found your heart here. Hope to be back again. Rob and I enjoyed our stay away from it all. Just being able to hear the constant hum of the river and breathe in the fresh mountain air was very relaxing! Thanks! We enjoyed our stay here. The weather was perfect, the scenery beautiful and the cabin was clean and perfect for out needs. Wow!! We have had a wonderful experience in Yellowstone so far. We have enjoyed everything from the beautiful canyons to the spewing geysers. What a blessing and gift God has provided us with. We very much lo ed our stay here. It felt like home all the way in Georgia. We will never forget the time here in Yellowstone and always cherish the memories. The cabin was absolutely great! Our family loved everything about the cabin. What a wonder time we had out here! The cabin was great and we had everything we needed. I wish we could have spent more time at the cabins as we were on the road in Yellowstone most of the time. What special memories were made with our 3 grandchildren and daughter and son-in-law. We will treasure them forever. I am so thankful to a secretary that works for my husband’s employer who recommended your cabins! She was so right on telling us how great everything is! Thank you again and we look forward to returning with our other four grandchildren and son and his wife in the future. Almost heaven, Gardiner, Montana! We loved the homey feel of the cabin and it made for the perfect place to stay for two adult children and their parents. While here, we have rafted down the Yellowstone River and tackled Yankee Jim’s Canyon! We took a long tour through yellowstone Park and saw bison, a she wolf, a grizzly, a black bear, plenty of pronghorn, an osprey (which we watched dive all the way into the river and resurface with a fish in its talons! ), and a bunch of elk. We went horseback riding in the back country with cowboys and followed up with dinner, a bonfire, and a great sing-a-long. Mostly, we enjoyed bonding as a family on the back porch and getting to know some of our cabin neighbors. We thank God for this amazing trip and Bonnie for the perfect place to stay! As my very first vacation experience these cabins and this particular location really set the bar! the cabin was incredibly wonderful. There was not one think I disliked. My 1 year old was ever so upset that we had to leave. I will remember this experience and hold it dearly in my heart. Thanks for the wonderful memories! What a blessing to have found your cabin with availability the exact dates we needed. We leave tomorrow for Canyon Village but we are not wanting to leave your beautiful cabin on the river! We’ve loved sitting in the back porch, listening to the river and looking at the wonderful surroundings. The comfortable beds and bedding gave us the best sleep we’ve had on our trip. You’ve provided everything we needed and more. Wow! Our family vacation here has been amazing. Aside from all the sights in the park, it was always a treat driving back to our “secret, little cabin on the river”. We will definitely be referring our family and friends back in Dallas to you and cabin #8. We especially appreciated your warm hospitality and all the suggested points of interest. We saw it, and loved it! Thank you so much for a wonderful stay and kudos to your house keeping staff. Very, very clean. We will miss Montana and look forward to coming back. Thank you for letting us stay in your beautiful, well appointed cabin. We made breakfast here for 14 guys every morning and relaxed here at night after riding 5-6 hours a day up and down the mountains. What a treat! thanks Bonnie. Your home is beautiful! We love hearing the river. We really recommend the Raven, the Lighthouse, the Iron Horse and the float through Wild West Rafting. The weather has been gorgeous. Everything was comfortable, clean, cozy and beautifully decorated. We would definitely come back. YNP was amazing! WE did most of the major hikes and saw all the sites. All of the dining in Gardiner is good. I would recommend and evening dinner on the deck of the Iron Horse, elk burgers at Cowboy Bar and Grill, pizza at KBar and an amazing bison meatloaf at Rosies. I had a wonderful time here. The cabin was really nice. Our first day here we saw 5 wolves. It was amazing here. I love the rafting and horse back riding also. Thank you for the stay here at the park. Im not sure how to put into words what a wonderful vacation we have had with our 2 girls. First, the cabin is great! Everything we needed and then some! Bonnie is so kind and helpful and very knowledgeable about the park. Thank you to Bonnie for being such a blessing to travelers. We have had such a special time as a family here and hope to return again. The Bisso family arrived wide eyed and “wowed” by scenery…not knowing what to expect. What a great, cozy, happy place this vacation home turned out to be!! From sunrise on the mountains to sunsets and stargazing at night. From great trips through Yellowstone – animal watching bison, deer, elk, bear (black and grizzly), mountain goats, beaver, swans, ducks, coyotes, wolves and an osprey in the Canyon to returning home with gratitude for a great bed, warm showers at HOME! Our last morning a lovely mule deer walked by to say goodbye. Thank you for a “lovely home” and we are all planning our return! Thank you! We have enjoyed our stay in your beautiful cabin! This was such a peaceful place to stay! We enjoyed exploring Yellowstone and seeing all the animals. Our first day we saw 2 grizzlies and a black bear! We also got to see Wolves in Lamar Valley. Thank you for sharing your wonderful cabin! I am so glad we found your cabin on the river. It is so comfortable. Everywhere you look, there is something unique to see. Very homey! Our grandsons loved the river and all of us loved seeing deer in the yard. Very convenient to Yellowstone. We had an excellent dinner at Lighthouse Restaurant. THe Corral has awesome hamburgers! Beautiful scenery at every turn everywhere you go. Love this part of the country! Thanks for everything! This cabin has been perfect for our family! We will recommend it to everyone! Thank you for this gift. As for the park, words cannot express the beauty and grandeur. I wish we would have had a little more time to explore. Adam and I are already discussing our next trip. The cabin was amazing, truly felt like home. We saw tons of wildlife (elk pronghorn, coyote, etc…) either behind the cabin or on the way into town. WE did all the usual adventures in Yellowstone (hiking, hot springs, geysers), but the most memorable was on our hike at Beaver Pond. It was a beautiful five mile hike up the mountain and on the way down, we sean into a fairly big cinnamon black bear. Thank God we had bear spray, although we didn’t need to use it. It was an exhilarating feeling! Thankfully, the bear was not hostile, which made the experience that much more amazing. This trip was a graduation present from my parents and I can honestly say it was my favorite trip. And, I have done everything from Cancun to skiing to Europe. This, by far, was the most peaceful, beautiful, and most exciting trip I have ever taken. I hope everyone who stays here enjoys the same exciting experience that my family and I did. We appreciated how clean the cabin was and all the things it had to offer. We will be sending pictures of all the wildlife we saw around the cabin, so hopefully all will see. Thanks for everything Bonnie! We will be back soon. What spectacular views from Cabin #1. We loved to watch the morning sunrise on Electric Peak and the clouds roll in to cover it up, revealing new snow the next morning. The cabin is great for our family, and we loved the closeness to Yellowstone National Park. We saw bald eagles, swans (or geese?) in Swan Lake, lots of elk and pronghorns, mule deer and wolves. Canadian geese and a few varieties of ducks too. Amazing scenery everywhere! A fantastic family vacation. Thank you! Two amazing weeks in Yellowstone. We always know that we will be “right at home” in Cabin 1. This year we were joined b y our son and daughter-in-law and 2 young grandchildren. Such a delight to share our favorite Park (and cabin). We saw wolves, bears, coyotes, goats, Bighorn sheep, bison, eld deer, antelope, and lots more. It was so relaxing to spend 1/2 days in the park and 1/2 days at the cabin. Most of the wildlife around the cabin was scarce. The resident grizzly kept them away. Once the apples are gone I imagine the grizzly will move on and the deer will come back to the yard. Enjoy your stay! Thank you for your fine hospitality. What a wonderful week! Beautiful cabin, just what we needed to enjoy a week at Yellowstone. Thanks and God Bless you. This is our second visit to Bonnie’s lovely cabin! We had such a great time two years ago, we had to return. A visit to Yellowstone is always special, but we also just enjoy staying at the cabin. Such a comfortable and homey place. Our last night was made really special by a beautiful star filled sky and elk bugling just across the road west of the cabin. Thank you, Bonnie, for another wonderful stay! Today we have to say goodbye to this wonderful little cabin by the river. The past 3 days we have experienced great adventures like white water rafting, peering into the grand canyon of Yellowstone, and soaking in the boiling water springs. The 4 of us have taken in some beautiful wildlife, bison, elk, mule deer, coyotes, wolf, bald eagle, and plenty of pronghorn around the cabin. 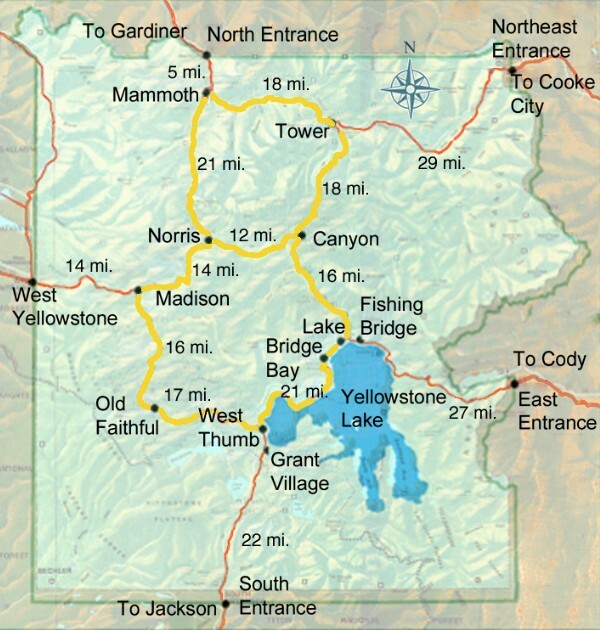 We leave Gardiner today and travel south towards the Grand Tetons. If you are exploring Yellowstone National Park, don’t miss out on the Grand Canyon, the breathtaking view down to Norris, and the geysers. Have a great time. God Bless. What a marvelous stay we have experienced here in your wonderful warm cabin on the Yellowstone River. We arrived on Monday afternoon and found the cabin to be warm and inviting with great amenities. The beauty of the surrounding landscape is awe-inspiring. We loved experiencing Yellowstone in the winter. Before coming to the cabin, we went on a snow mobile journey to see Ole Faithful, absolutely beautiful. After 2 years in planning & multiple e-mails and phone calls, we finally found ourselves here at Cabin #8 to find it exactly as represented on the Internet, plus so much more. The cabin is well maintained, clean appointed with the necessities for meal preparation, quality linens & towels, and the décor is so pleasant, warm & inviting. We’d explore early in the days we were here and then get comfy & cozy warm with the sittings room’s cast iron stove glowing, reading, talking up the days, experiences piecing a 1000 piece puzzle of Yellowstone’s Grand Canyon by Thomas Moran. The ease we felt with the cabin was so complete thanks to Bonnie Lynn’s accuracy & thoroughness of the property’s representation & rental agreement— but so much more— her willingness & desire to share the winter marvels of Yellowstone Natl. Park and the Gardiner area. Thanks for sharing it all. We thank you for sharing this wonderful cabin with us. It is very beautiful and serene. We enjoyed the sights and sounds of nature. The cabin is beautiful and extremely well equipped. We doubt anyone could ever complain about the amenities. We hope that someday in the future we can return and enjoy this all again. This was the family’s first trip to Montana. The cabin was a great start to our trip. It was convenient very clean and enough for my husband, my 13 year old son and me. The scenery was perfect. After a long day in the park coming back to the view of the river was excellent!!! We could tell that you care for this property and we tried to treat it as if it were our own home. We left a book for your next guests: 82 Great Hikes through Yellowstone National Park. We hope all of your future guests will use it. We did hike #11. Great walk down, steep coming back, but worth it. We would definitely recommend the cabin for it’s location, cleanliness and overall positive feel. Thank you for your kindness and hospitality. Robert, Shauna & Bryan G.
Thank you for sharing your delightful cabin. It was absolutely beautiful. Besides the beautiful scenery the sound of the river flowing by and the wildlife, I found the beds to be the most comfortable beds in the state of Montana & beyond. Well, after almost two years of anticipation, one postponement and a major change of plans, we finally made it to Montana. And while the scenery in Montana and Wyoming is sometimes breathtaking, and often times inspirational, the friendship and kindness you have shown Carolyn and I will be one of the most talked about parts of the trip. And we both thank you for these. The cabin itself is outstanding and I will be recommending it to anyone heading this way. It is a little piece of heaven here on earth. If we ever get back to this way again, we know who to contact. Wow! Our family vacation here has been amazing. Aside from all the sights in the park, it was always a treat driving back to our “secret little cabin on the river.” We will definitely be referring our family & friends back in Dallas, TX to you & cabin #8. We especially appreciated your warm hospitality and ALL the suggested points of interest. We saw it, and loved it! Thank you so much for a wonderful stay and kudos to your housekeeping staff. Very, very, clean! We will miss Montana and look forward to coming back. Take care and God Bless You! What a blessing to have found your cabin with availability the exact dates we needed. We leave tomorrow for Canyon Village, but we’re not wanting leave your beautiful Cabin On The River. We’ve loved sitting on the back porch listening to the river and looking at the wonderful surroundings. The comfortable beds & bedding gave us the best sleep we’ve had on our trip. You’ve provided everything we needed and more. As my very first vacation experience these cabins & this particular location really set the bar! The cabin was incredibly wonderful there was not one thing I disliked. My 4 year old was ever so upset that we had to leave. I will remember this experience & hold it dearly to my heart. Thanks for the wonderful memories!! Almost heaven, Gardiner, Montana! We loved the homey feel of the cabin and it made for the perfect places to stay for two adult children & their parents. While here, we have rafted down the Yellowstone River & tackled Yankee Jim’s Canyon! We took a long tour through Yellowstone Park and saw bison, a she wolf, a grizzly, a black bear, plenty of pronghorn, an osprey (which we watched dive all the way into the river & resurface with a fish in it’s talons!) & a bunch of elk. We went horseback riding in the backcountry with cowboys & followed up with dinner, a bonfire & a great sing-a-long. Mostly, we enjoyed bonding as a family on the back porch & getting to know some of our cabin neighbors. We thank God for this amazing trip & Bonnie for the perfect place to stay. What a wonderful time we had out here! The cabin was great and we had everything we needed. I wish we could have spent more time at the cabin as we were on the road in Yellowstone most of the time. What special memories were made with our three grandchildren and daughter and son-in-law. Wow!! We have had a wonderful experience in Yellowstone so far we have enjoyed everything from the beautiful canyons to the spewing geysers. What a blessing & gift God has provided us with. We very much loved our stay here. It felt like home all the way in GA. We will never forget the time here in Yellowstone & always cherish the memories. The cabin was absolutely great! Our family loved everything about the cabin! We saw a grizzly beat at the trailhead at Mount Rushburn! Erin, Dylan, Mark & Tina S.
We enjoyed our stay here. The weather was perfect, the scenery beautiful & the cabins clean & perfect for our needs. Bob & I enjoyed our stay away from it all… Just being able to hear the constant hum of the river & breathe in the fresh mountain air was very relaxing! Thank you for such a beautiful place to call home in Montana. All our needs were met. So glad to that your body found your heart here. Hope to be back again! Richard & Sheila M. John & Pat P.
Well this began as a dream when we were Internet searching for family friendly accommodation around Yellowstone. Our dream became reality and your beautiful cabin (and Yellowstone) exceeded all our expectations and more!! As a family with three children under 11, your cabin was our home away from home. We hope to return one day! Riverfront Cabin #8 was a true blessing to wake up in and come home to after a terrific day in the park. Every detail more than exceeded our expectations. The weather was our friend during our stay and my son, Mark a California Star Ranger loves to fish and he pulled many trout in right in front of the cabin… delicious! Thank you Bonnie for providing such a wonderful place to stay. We have to leave in the morning but if time allowed, would gratefully spend another day just hanging out at the cabin. Thank you so much for sharing cabin #8 with us! You were correct; it is as beautiful on the inside as the Montana scenery is on the outside. We are already looking forward to another, wonderful time! The cabin is so thoughtfully appointed and nothing was less than stellar. Linda and Warren Wendell, N.C. This was our 5th trip to Yellowstone, but the first one that we stayed outside the park. The cabin was great! We had six in our party and never felt cramped. The beds were great; the kitchen had everything you needed. As others have mentioned in their logs, we truly enjoyed coming home and relaxing in the cabin. Our kids would go down to the river in the evening to explore and skip rocks. The trip featured great experiences in the park; we saw (4) Grizzlies, the Lamar Valley wolf pack, bison, elk (of course) a golden eagle (3) (first time for that). We were able to watch a grizzly and the wolves fight over a carcass. AMAZING! Thank you for making this trip special! What a wonderful trip!! This cabin is fantastic-the window on every wall in the living & dining rooms made for a wondrous view with every move we made. I highly recommend a warm drink on the patio while watching the sunrise- beautiful. This cabin and its amazing location made the trip truly memorable. Oh, also, when exiting the cabin lot, we made right for about two miles, then on the left, in a horse pasture- a grizzly with two cubs!! Oh, we’ll never forget that. Thanks for everything! We will be visiting again ASAP! There are no words to decribe our amazing experience at Yellowstone. The cabin is gorgeous, truly home away from home. The very first night on the way to the cabin, on the gravel road, we saw a huge grizzly bear. We’ve seen two eagles, tons of bison, elk, wolves, and awesome views all around. God’s masterpiece is so evident in YNP. Thank you so much Bonnie for allowing our family to stay in your beautiful cabin. Our memories from this vacation are ones we will cherish for the rest of our lives. The only downfall to YNP & the cabin is leaving. We hope to be back very soon though. When these cabins were built I installed the soffit & facia. It was a wonderful place to work. I always wanted to come spend some time here relaxing & enjoying the park. When our friend Paula invited us down for a few days we were very excited. A very relaxing experience was had by all. Look forward to coming back. Paradise! Even the rain on our last full day here cannot dampen the pleasure and beauty of spending our 5th anniversary here! The wonderful fire while it is cool and windy outside is so comforting and relaxing, not to forget quite romantic! As I wrote to my daughter, this cabin has even more comforts than home. It is a joy to walk around the cabin, taking in the delightful décor and fun “do-dads”. So thank you for making our Fifth one the best – so far!! A wonderful week with warm sunny days, rainy blowy days and even some snow flurries at Old Faithful! It was such a treat to come back each day to our well-appointed cabin and eat dinner and look at the ever changing views. This is the perfect cabin with the PERFECT view. Are you sure this is a cabin and not a house? We found it to be very cozy and accommodating. The wildlife was so amazing. We spend part of our vacation at the West side of the part, and the whole family agreed that when we came north, we liked it better. We had a great time fishing and hiking. We also liked watching the deer eat grass right outside the window. Thank you so much for sharing your home with us! Whatever our expectations may have been, they were easily exceeded, in every way. The park, the surroundings, the weather, the cabin – everything was close to perfect. We sighted every animal listed as living in the park (including a wolf) except for the bighorn sheep. We attended a rodeo on July 4th, hiked trails and drove several times through incomparable Lamar Valley, with it’s magnificent herds of bison. A once in a lifetime experience, and we are thankful for it! We very much enjoyed our trip to Gardiner, Montana. The sights here were beautiful and we will remember them! We enjoyed our rafting with the Yellowstone Rafting Company. And we also saw a guide, Jerry, from there two days ago getting stuck in an island. Look out on the porch from cabin and in the water you’ll see grass, that’s Jerry’s island! We went horseback riding at Hells A Roarin. The horses are professionally trained; they are beautiful and kind! They each have a different personality! We also saw bears in the Lamar Valley. Elk are easy to find as well as buffalo, deer and antelope were found. We spotted them in Yellowstone. Yellowstone is beautiful. I recommend going to Yellowstone and sightseeing or looking for animals. Gardiner is a beautiful town with many cute stores! (Although, salmon flies are very odd). Going back to Chicago is gonna be hard. If you go to Beartooth highway, there will be a stone wall rest stop and you can hand feed chipmunks. They walk on you hands and legs to get to the food. They like peanuts! Overall you’re gonna have an amazing time, just like my family and I did!! When I grow up I wanna be a singer and come back here and vacation. I must write this while I am sitting enjoying my coffee and listening to the river. My husband and kids are exploring the “secret stairs” at least that’s what we’ve named them. Our time her has gone too fast. This place has been perfect for us. We ran to places all day and then would come back to the cabin, which felt as comfy as home. They just opened the Boiling River yesterday. We feel lucky to have experience it. On one of the 90 degree turns to the North Entrance there is an osprey next in a tree by the river. Daddy Osprey brought Mommy Osprey a fish to feed the babies – just one of the Awesome things we saw. Thank you for providing many comforts of home in a great destination. Wow! What a wonderful experience we have had here! Between a herd of bison almost ramming into the rental car (in the Lamar Valley), whitewater rafting down the Yellowstone River, and enjoying ourselves in this beautiful, home-like cabin, we have had a wonderful stay! We recommend heading out early to Lamar Valley – there are so many bison (and other animals to be see). For horseback riding and whitewater rafting (the 18 mile is great!) We booked at the Flying Pig in Gardiner. Be sure to see Old Faithful, as well as many other beautiful sights within the two driving loops in Yellowstone. Don’t forget to swim where the Gardiner River meets the Boiling River in Yellowstone. The water is both warm and cold, and is also only about a ¼ mile hike from the parking area. We lastly recommend driving through both loops in the park. Make as many stops as you can because the views and things to see are breathtaking and remarkable. Don’t forget to fish (buy a pass at Parks in town) and explore the steps right out the cabin! We really enjoyed our stay in this beautiful cabin! Arrived in rain on Monday, but that did not deter our wonderful stay. Grandma, Grandpa, Mom, Dad and 3 boys (7, 5 & 2 ¾) . Drove in on the Beartooth highway, AMAZING from the entrance, drove to mammoth walked the terraces, then on down to high Elephant Back. 3 boys made to the top & back – they are troopers!! Next day drove out to Roosevelt Lodge then to Petrified tree and hiked to Lost Lake. No moose : ( Drove down to La Mar Valley, lots of bison. Final day stopped at Norris Geyser Basin and walked the board walk came back to Old Faithful, lunch and then up to Observation Point and a great view of Inn and Beehive Geyser back to cabin to pack up. We loved staying her at the cabins, as the boys loved eating out on the porch for breakfast. Saw 2 eagles one morning, and they walked down to the river threw rocks – don’t all boys! And got to see 3 rafts float by. Your cabin and grounds are beautiful and very accommodating. We are so glad we found you and got to share some of your piece of heaven!! Wonderful 3 days in Park. Fishing at Slough Creek, Lower Yellowstone, Lamar Valley, and Gardiner Hole. Fishing slow but a few 18 inch cuts. Cabin is well appointed and served our comforts well. An excellent, relaxing time by all. Today we have to say goodbye to this wonderful little cabin by the river. The past 3 days we have experienced great adventures like white water rafting, peering into the Grand Canyon of the Yellowstone, and soaking in the boiling water springs. The 4 of us have taken in some beautiful wildlife, bison, elk, mule deer, coyotes, wolf, a bald eagle and plenty of pronghorn around the cabin. We leave Gardiner today and travel south towards the Grand Tetons. If you are exploring Yellowstone National Park don’t miss out on the Grand Canyon, the breathtaking view down to Norris and the geysers. Have a great time! This is our second visit to Bonnie’s lovely cabins! We had such a great time two years ago, we just had to return. A visit to Yellowstone is always special, but we also just enjoy staying at the cabin. Such a comfortable and homey place. Don & Janice C. & Glen & Betty U. What a wonderful week! Beautiful cabin – just what we needed to enjoy a week at Yellowstone. Thanks and God Bless You! Wow! What a wonderful, relaxing stay. Such a neat, well decorated clean cabin, with a delightful décor. Arte most meals in the cabin – such a nice kitchen! Traveled to Yellowstone Area – took in many sights… sights, mountains, animals, geysers, etc. We had lots of rain, so not much walking and sightseeing. Enjoyed visitor’s station and traveled to the West Entrance and went into West Yellowstone, MT to visit Yellowstone Historic Center Museum (train station/planes). We saw wolves, bears, coyotes, goats, bighorn sheep, bison, elk, deer, antelope & lots more. It was so relaxing to spend ½ days in the Park & ½ days at the cabin. Most of the wildlife around the cabin was scarce. The resident Griz kept them away. Once the apples are gone, I imagine the Griz will move on & the deer will come back to the yard. What spectacular views from Cabin #1. We loved to watch the morning sun rise on Electric Peak – and the clouds roll in to cover it up – revealing new snow the next morning. The cabin is great for our family – and we loved the closeness to YNP. Three great days in the park. Great day to the Grand Canyon & upper & lower Falls. So cool to explore all the different visitors and vantage points. Mark and the girls made it all the way down to Uncle Tom’s Trail. We also stopped at the Norris Geyser Basin on the way back. Day two was a trip to Old Faithful. We timed it right & got to see the great geysers display. So neat to walk around to see all the springs & lesser geysers. Also stopped at Midway Geyser Basin – The Excelsior Geyser Crater is and awesome sight. It was cold & windy so the steam was intense & blowing. We couldn’t see the colors of the Grand Prismatic Springs but had a blast in the station. We also walked around the lower terrace at Mammoth Hot Springs. It looks like a moonscape! The water was low so the pots were dry. Day Three we ventured to the Lamar Valley. So breathtaking! We got to see a pack of wolves with a kill and listen to them howling was so eerie – but very cool. We also hiked up to Crater Lake. Mark tried a few fishing spots along the Yellowstone River too. Big paw prints from Grizzlies in the park not far from the cabin – but no bear sightings. We saw bald eagles, swans (or snow geese) in Swan Lake, lots of bison, elk and pronghorn, and mule deer and wolves. Canadian Geese & a few varieties of ducks too. Amazing scenery everywhere! Fantastic family vacation. I loved my stay in your cabin. It was truly a healing experience and my health is excellent now by all results. The weather didn’t exactly cooperate but there was still beauty everywhere. I loved my shots of the bison in the snow. We saw just about everything we had wanted except wolves. Once again, we had a wonderful time. Cabin #8 was the greatest place to stay on our vacation in Montana. For our family of four, it was perfectly cozy! Overall we had a fabulous time! First let me tell you how impressed we all were with the cabin. I can’t think of one thing that we needed. I would recommend the cabin to everyone. My oldest son is planning to return. The location is great. How much fun we had at your cabin! It was absolutely perfect for our family. what a great place to come home to after a day in the park. What an absolutely spectacular place Yellowstone is. We were blown away by the beauty of it. Also, we saw a TON of wildlife (a lot more than I expected – five bears and an elk and buffalo all over the place). It was a trip we’ll never forget. Thanks again for your place being even better than advertised! You’ve done a great job with the cabin. We hope to one day get back there. We enjoyed our brief stay at your cabin. It was a terrific place to unwind at the end of the day. I wish we had more time to relax while staying there but we were on the go the entire time. We especially appreciated all the extras you had included – sugar, salt, pepper, etc. Your thoughtfulness really made our stay pleasant. Sorry we didn’t get to meet you. We were impressed with your set up and wondered how many cabins you own and if you built all of them. They were well thought out and in a beautiful location. Thank you for allowing us to stay. Just a quick note to say hi and to ket you know we had a wonderful time again at your cabin. I can’t tell you enough what a good time we had. Thank you very much. We all think your cabins are just ideal. We loved it! Next time we will stay longer… a week or more. Everything was perfect! Such decor! Such privacy! We had our own herd of buffs and elk nearby in the shadow of Devil’s Slide. We have just returned home and want to thank you for our very enjoyable stay in Cabin 1. It was beautiful, comfortable and well equipped (who else provides grizzly bears in the back yard?). We are thinking of returning and bringing out children and grandchildren with us. Hope to see you then. Just back from our trip West and wanted to send you a note of “Thanks” for such a wonderful place to stay for the Yellowstone leg of our National Park journey. The cabin was all you promised and more! Extremely comfortable, with terrific views and awesome accommodations. Truly, the best night’s sleep we had on our entire trip… a great place to rest after long days of exploring the park and the town of Gardiner. Your place will be a wonderful part of the best memories of our trip! Thanks again… for a perfect stay! We still think about our stay in your lovely cabins. Mother also so enjoyed the cabin and the beauty of the mountains. She says she will never forget that trip! We sure did enjoy our stay in the Yellowstone Cabins! Your cabin feels like a home-away-from-home. We especially loved the screen door, allowing us to listen to the river and nature while we were there. We had the best time going inane out of the park every day, with our “home” so close by we often came out for lunch and then went back in for evening animal viewing. We loved our vacation, thank you for sharing the hospitality of your cabin! We cannot begin to express our pleasure to have had Cabin #8 to come “home” to every night. We came, we saw every critter that wanted to be seen by us, and we conquered every square mile of the Park, Cody and the Tetons down to Jackson Hole. We fished several of the rivers and even caught whitefish in front of your place a couple of times! I hope that our paths will cross again. Donna and Dan L., Carole and Bill P.
Upon arriving, there was an instant sense of, “Home away from home.” We had an absolutely wonderful time and have hundreds of pictures to cherish forever. Thank you for the use of this enchanted little cabin. We are hoping to come back in the spring as we are certain it will be even more magical. There is so much more to tell but per my usual, I’m running late. God bless. We wish you a happy and successful 2010. Incredible! What a cool Park! We saw animals like bears, elk, bison, big horn sheep, antelope, birds, and more. We also did cool things like horseback riding, boating, and hiking. We saw paint pots, geysers, obsidian, and Roosevelt Lodge. In the cabin we felt like we were at home. Thank you Bonnie. This cabin was perfect! Everything we needed was here. It felt like home. We loved having the river right out our back door! It was so relaxing and peaceful! We had a great time in Yellowstone! We hope to return in a few years. On this trip we saw more animals than we dreamed of – buffalo, pronghorn, elk, mule deer, mountain goats, big horn sheep, wolves, coyote, otters, long tailed weasel, grizzly with cubs, black bear, cinnamon bear, female moose, spawning trout, osprey, prairie dogs, blue bell ducks, coot, ruddy duck, pintail mallard, cranes, heron, pelican, elephants – ok, lying about the elephants. People here are so friendly – loved our guides on the raft trip and at Hells-a-Roaring Ranch! Safari guide Phil very knowledgeable (tip – check out trout lake for otters!). Also – Chico Hot Springs worth the money. Scenery – beyond words. Lightening storms at night flashing on the mountains – we saw a double rainbow from the pool at Chico. The cabins are beautiful, comfortable, well-equipped. Bonnie is a wonderful host – so great to meet her and hear all of her adventures. She has the heart of a mountain woman. We will remember this family vacation forever. We enjoyed every minute of our time here at the cabin and Yellowstone Park. The cabin was perfect!! We have never seen anything as beautiful as the mountains. We really enjoyed hiking and exploring and our daughter found a cave in the mountainside near the cabin. She said it was amazing! We’ve seen so much wildlife, including pronghorn, mule deer, elk & babies, tons of buffalo and calves, wolves (howling), a fox, coyote, marmot, at least 18 bears – black and grizzly and two cubs! We also went horseback riding and river rafting – had lots of fun. We would all love to come back next year, we had a great time! Your cabin on the river is just “what the doctor ordered!” In between our excursions in the parks, it was such a pleasure to unwind in this cozy cabin setting…so very comfortable. We were fortunate to see 4(one baby) black bears (different areas of Park), 2 grizzlies, too many bison and elk to count and a moose near Jackson. We enjoyed fishing in the Lamar, the Madison and the Yellowstone. We caught rainbows, cutthroats, and small brookies. Dan and I each caught whitefish right here! (A first for both)! We’re trying to think of ways to stay here for the rest of the summer….haven’t come up with any good ideas…yet! Bonnie – we shared a cabin with the Lehrs – our neighbors on the Portecay River in North Georgia where we each own and live full time in a cabin home…imagine being so thrilled with a week in a cabin on a river. The Montana/Wyoming experience will remain in our hearts and minds forever and it all began here at your cabin. We experienced all we ever dreamed we would and more. Thank you for sharing the charm and warmth with us for a week. Hope the bunnies in the back yard and the horses up the road will miss us as much as we will miss them. Wow! What beautiful country! We loved staying here. We spent some time in Yellowstone, words cannot describe the beauty of the Park. We went white water rafting at Wild West Rafting – they were all great there. We went horseback riding, we enjoyed the river from the cabin and from everywhere we saw it. With everything we saw and did while we were here, the best part was knowing we had this wonderful cabin with all the amenities to come back to at the end of the day. I can’t tell you how much I like your cabin. It is so clean and neat. I love our décor and may use some of your ideas back home. The wildlife and the park were so beautiful. I hope to come back this summer with the family. Although I didn’t get a chance to meet you, Bonnie, I feel like I have a friend in a new place. This vacation will always hold a special place in our hearts and memories. A long way from home, this was our first “white” Christmas and it truly exceeded our expectation. It snowed, the cabin is fantastic, cozy and comfortable and Yellowstone National Park was magical – we spend our days exploring the Park and were constantly amazed at its wildlife and beauty. We saw a grizzly bear, elk, wolves, eagles, bison….and much, much more. Our trip on a snow-coach was also lots of fun. Ryan and Harrison enjoyed building a snowman and playing in the snow, while James and I enjoyed relaxing by the fire with a good book. If we fail to praise you, Father all creation will rise and shout. If we fail to praise you, Father, then will the very rocks cry out! Bonnie, these are the words that kept running through my mind as we hiked and walked through this beautiful country. We saw elk, deer, pronghorn, bison, and bear – even mountain sheep. Then, after a busy day returned to the comfort of your lovely cabin. Thanks for your emails and calls. Next time we would love to meet you! We enjoyed our stay here in your cabin. It was our home away from home. We enjoyed the Yellowstone Park, the shopping in Gardiner, and the hikes in the mountains. The view is beautiful. God bless this cabin from all of us. Beyond our wildest expectations. A beautiful cabin, with spectacular views and luxury comfort. Who could ask for more. Thanks, Bonnie! We’ll be back. We loved your cabin, the sleeping, the eating, the cooking, the time together was so welcome to us. Thanks for having a satellite dish, internet, and great beds! We will be back when it snows. Thanks! God bless all those who stay in this place. We had a wonderful Christmas in this beautiful place. We enjoyed the days in Yellowstone with hundreds of elk, lots of bison, few wolves, many coyotes and Ahhhh moments in an amazing landscape. Now we have to leave but we are sure to come back soon. Another delightful stay – looks like we forgot to journal our stay in October 2009! – but you know we love it here. It is truly our home away from home. Thank you for spending some time with us. Wildlife in the Park is always our main focus and we are never disappointed. Watching wolves is a favorite of ours. The Slough Creek was alive with activity with the new trio pack, grizzlies, bison, sandhill cranes, adorable cinnamon teal ducks, elk, antelope, and so much more. We visited Slough Creek and Lamar Valley every day. The weather was terrific. Cold as 18 degrees and today certainly in the 70s. Crazy! We love it. Thanks for all you do to make our stay as lovely as “family” would want it. Yellowstone is a magical place, from desert to snow. We saw many animals up close and personal and others off the distance. We got wonderful photos of bison, big horn sheep, owls, harlequin ducks, coyotes, grizzlies, and black bear. The Grand Canyon of the Yellowstone was absolutely awesome with oranges, golds and yellow painting the scene. P.S. The cabin was more than I expected, I would live here! A special note of thanks. We loved your cabin and all your acts of kindness were so appreciated. We had everything we needed and even more. Our stay was truly a Blessing in every way. We pray Heaven to bestow the best of Blessings on this house. And on all that shall here after inhabit. The Lord bless you and keep you, the Lord make His face shine upon you and be gracious to you. The cabin was nicer than I expected! Every morning I loved looking out at the mountains. The cabin was worth every penny. The beds were comfortable. Sitting on the back porch and seeing the water flow by was great. We had a wonderful three days staying in Gardiner at this cozy and lovely cabin. In the late evening it was a pleasure to sit in the comfy living room and watch the wildlife through the big picture window. It was much better than a painting on a wall. Although many people enjoy being close to a city, our two families like being away from the lights, people, and cars of a city. Thank you for being such a careful and conscientious host. We had all we needed in order to be comfortable and feel right at home. All of us thank you. Thank you for all of our kindness and generosity! Our first trip to Montana is one of our memories of a lifetime. This cabin is so comfortable it feels like home and makes a superb base for investing this beautiful land and its people and wildlife. Although we roamed a lot, we fly-fished our hearts out! Nothing but rainbows – in the Yellowstone River, the Slough Creek, Grebe Lake and Gardiner Creek! If you want an absolutely superb fly-fishing guide, call Xanterra at 866-439-7375 and ask for Tyrene Riedl. She is perfect for your fly-fishing needs and so knowledgeable about the park and its wildlife and conservation efforts. You will love her! All our friends are going to hear raves about this cabin and this land. Bonnie, stay well! My 13 year old son was the 1st to run into your cabin with such excitement shouting “this is beyond my expectations!” We all agree!! Beautiful cabin…tastefully decorated, great views, clean, etc., etc.!! This was definitely worth the 3 days of travel to arrive to this gorgeous countryside on should I say mountainside?  We drove all through Yellowstone stopping for photos, wildlife viewing, and picnics. We truly enjoyed the (area you mentioned) where the Gardiner Boiling River meets the Yellowstone River – great experience and the hot water was wonderful on our sore muscles from all our walking, hiking, and horseback riding through the Gallatin forest! We filled each day until exhaustion and always referred to your cabin as “home.” It was so nice to end our day knowing we had a comfortable “home” to go for a home-cooked dinner and comfy beds to sleep. Your couches are very comfortable too. My son had an asthma attack in the middle of the night. After his inhaler, I made him sit on the couch until he could breathe easier and he fell asleep. I got the sheets off our beds and slept on the loveseat to be near him and was surprised I was comfortable. We shopped for souvenirs at Gardiner’s Yellowstone Gifts and Sweets and that was the best shop overall for gifts – 2 floors of everything you can think of . I heard back home in Chicago it has been in the 90’s and very humid. We have so enjoyed Montana’s perfect weather 75-80 degrees and NO humidity. Thank you again, Bonnie, for sharing your wonderful cabin. My whole family loved being here! This is our first visit to Yellowstone and what an awesome time we have had beginning each day and ending each night was so special because of the beautiful cabin we had…so fine in every way. Big picture window was so nice…we saw osprey, eagle, and mule tail deer from this beautiful place…we also had a little bunny visit us from time to time (so cute). Just loved hearing the rustling water and viewing the awesome mountains right here, in this place…it was just perfect for us. God sure does love all of us to give us such a beautiful place to come and see his work. We are very blessed. Bonnie you are a very special person. Thank you very much. We are celebrating our honeymoon at Yellowstone. This is the first marriage for both of us and YNP has proven to be the best place to start our new life together. We have seen the Tower, the Falls, the Lake, Old Faithful, Mammoth, and Lamar Valley and Beartooth highway. We have also seen mountain sheep with lambs, mule deer, black-tail deer, antelope, elk, one grizzly sow with two cubs, four black bears, two wolves feeding on an elk carcass, coyotes, owls, snakes, etc. This is truly God’s country! Even caught a couple of fish in the Gardiner River. You have been a great hostess, Bonnie. Thanks for sharing your slice of heaven! What a wonderful trip!! This cabin is fantastic – the window on every wall in the living and dining rooms made for a wondrous view with every move we made. I highly recommend a warm drink on the patio while watching the sunrise – beautiful. This was a family trip to celebrate our 4th wedding anniversary (married in Big Sky but couldn’t resist a Yellowstone visit) – this cabin and its amazing location made the trip truly memorable. Oh – also – when exiting the cabin lot – we made a right for about 2 miles, then on the left, in a horse pasture – a grizzly with 2 cubs!! Oh, we’ll never forget that. Thanks for everything! We will be visiting again ASAP. There are no words to describe our amazing experience at Yellowstone. The cabin is gorgeous. Truly home away from home. The very first night on the way to the cabin, on the gravel road, we saw a huge grizzly bear. We’ve seen two eagles, tons of bison, elk, wolves, and awesome views all around. Gods masterpiece is so evident in YNP. Thank you so much, Bonnie, for allowing our family to stay in your beautiful cabin. Our memories from this vacation are ones we will cherish for the rest of our lives. The only downfall to YNP and the cabin is leaving. We hope to be back very soon though. We very much enjoyed our stay at your beautiful cabin. We found it very “homey.” We loved watching the deer, antelope, and elk from our window and on the drive in. We are also having a great time exploring the Park. We have seen so much more than we expected! Thanks for allowing us to stay in your lovely cabin. We’ve had a wonderful time. We traveling a long way on a long flight, it was so nice to pull up to such a beautiful cabin that was as comfortable as if being in our own home. Bonnie, you have done an excellent job at decorating and stocking the cabin with everything you could ever need or want. We drove every day until we were exhausted and it was so nice to come back to what we called “home” for a week. Larry and I were in Yellowstone in 2007 and this time brought 2 very dear friends with us to share its beauty this time. It was really nice to be able to bring them to your cabin as well. Again, thanks Bonnie, we will see you again. We had a fabulous time in this wonderful cottage. The scenic setting and the cozy atmosphere were really appreciated after long days spent at Yellowstone. You have thought of everything and anything anyone could possibly need to make their stay comfortable. Thank you for making this a memorable vacation for all of us. This is truly a HEAVEN on EARTH. The cabin was perfect. It had all the amenities we could have asked for and MORE! We really enjoyed the waffle maker. The view of the mountains and river is amazing. We went horseback riding, white-water rafting, and fishing. Everyone at the Flying Pig and the ranch were so wonderful! We will definitely recommend this cabin to all of our friends and family. We hope to return again. Truly an amazing vacation!!! “It is not the language of the painters but the language of nature to which one has to listed.” Vincent van Gogh (1853-1890). Bonnie, thank you for letting us enjoy your cabin! We were so comfortable. We loved listening to the river looking at the spectacular view! We saw many different kinds of wildlife – bison, pronghorn, elk, grizzly bear, male deer and much more. The boys fly-fished and caught brook trout and one rainbow. We climbed the hill (big one) across the road – that was a harrowing experience but worth the view. We hiked to between 9 – 10,000 ft in Yellowstone and saw myriads of gorgeous wildflowers. I’ve never seen so much land go on and on. The people here are very friendly! WE loved the little town and enjoyed a meal or two there. Seeing Old Faithful Geyser and ate at the Inn! Fabulous! We also took a horseback ride up into the hills – we could view Mammoth from there – used Abasorka Outfitters – ride was amazing! We slept great on your wonderfully comfortable beds and woke every morning to bright blue skies. We hope to come back in the winter. We thoroughly enjoyed the cabin and easy access to Yellowstone at least once a year and this has been our best trip yet! The cabin is stocked as well as our own home and feels as comfortable as being in our own cabin. We look forward to our future visits for the beautiful country and comfortable accommodations! Thanks for everything. As soon as we walked in, we were amazed by this cabin. It is so beautifully decorated and furnished. We felt pampered, excited and thankful. It is even better than we imagined. We have been very comfortable here. The hallway has even been perfect for our toddlers to run down. Everything from the couches to the TVs to the kitchen, to the beds and more are wonderful. The location is ideal. The scenery is gorgeous! We loved relaxing on the back porch listening to the rushing river and taking in the majesty of the mountains. The deer around the cabin are so fun to watch. We would definitely return to this cabin and recommend it to others. Thanks, Bonnie! We thoroughly enjoyed everything about this cabin – the beautiful views, the proximity to all the sights, the hikes right outside the door, and all the “high-tech” gizmos in the cabin. We would definitely recommend this cabin to anyone who wants to be close to all the attractions, but “off the beaten path” a little. Thank you! Having just travelled down from Glacier Park we already had high expectations but they were easily surpassed. The cabin is gorgeous – much better than it looks on Google Earth! A great place to explore the Park from and then come back to peace and quiet. A real shame that we can’t stay for another week. Thanks, Bonnie for being so helpful with all our phone calls – this is a wonderful place and we hope to visit again one day. In the meantime, we will certainly recommend to all our friends. Thank you for the wonderful accommodations! We felt we were in the lap of luxury – the gorgeous outdoors and the comfort of the furnishings and supplies for a restful retreat after a day of hiking. Wow, is what we said when we arrived. Everyday had its special beauty. We had sun and thunder storms. This is our first visit to Yellowstone and we will be back. The cabin is very warm and cozy. I am 10 and I loved it here. I especially loved the decorating of all the cowboys and fish. I loved how the river was so close. I went fishing every day and I caught one fish since the cabin was so close to the river. I saw elk and mule deer. Thank you Bonnie for the fully equipped cabin. We will be back and tell all our friends and family. The time spent together with our special friends was wonderful and full of memories. We appreciated the special “touches” you gave this cabin and made it feel like home. Just loved it! We’ll never forget this time. The cabin was beautiful. We had a wonderful time enjoying the scenery outside of the cabin and visiting Yellowstone. We saw a bear, elk, antelope, goats, and bison. It was really neat when a bison walked right beside our car. Thanks for providing this wonderful house. I hope to come back soon. I loved our experience here. From the beautiful mountains to the stunning (and close) wildlife, our experience was great. We saw a bear right next door!!! Thank you for this beautiful cabin and peaceful landscape. We called at the last minute and she directed us in also offered places to eat that we enjoyed the Raven rest 2 nights. Yum. We were lucky because we did see a bear we had been hoping to see one since our journey started in Vancouver. What a way to end the trip we hate to go back to reality. But we are thankful for our time here. What a blessing it has been to stay in this wonderful cabin and be surrounded by such beauty. The quietness and cozy, homey atmosphere left us feeling refreshed and renewed. Thanks so much for all you did to make this a memorable weekend. We look forward to bringing up more family late to visit the Park. Be certain we will share this “secret” with other friends so they can have the wonderful experience we had. We had a lovely two weeks in this fabulous cabin. Every day the weather allowed us to fish, hike, white water raft, and soak in the boiling springs! We both slept very well in the comfy beds after each busy day. The well-stocked kitchen helped us cook fabulous meals and pack energy-packed lunches for our hikes. We were blessed to worship at Mammoth Springs Chapel on two Sundays and Roland played the piano for the services. The town of Gardiner is filled with wonderful, warm residents. Each day we checked our email at High Country Café. All in all, this is one of the best vacations we’ve ever had from Florida to Pennsylvania – along our travels we take great memories from Yellowstone!! What a wonderful surprise your cabin was. So well equipped, and a washer and dryer, a godsend when traveling with a 3 year old and 1 year old. Had a wonderful time through Yellowstone, just not enough time to do everything we wanted to do. We will have to come back, thanks again for our stay, Bonnie. Highly recommend to anyone that deserves beauty, nature, feel part of scenery and be close to the Park. Plenty of animals even near the cabin as well as in the Park. Listening to the river was peaceful. God’s hand really shows in the scattered high hills, mountains, sun, the sky, and the various animals. This is a place to return for relaxation, meditations, being with the historic past. The way it’s meant for humans to live in harmony with nature! We laughed, shared stories about our past and present lives. This made the beginning of our reunion trip perfect. Dad, 85 years old, couldn’t be happier! The cabin was wonderful and we really enjoyed our stay here. We felt right at home and loved hearing the river all the time. We had several busy days including White Water Rafting right by the cabin! We also saw many animals in the Park including a grizzly bear, moose, huge bull elk, many elk and antelope. We really enjoyed seeing the wildlife. Thanks for the wonderful home away from home. Maybe we will make the long road trip again sometime and stay here!